The thaw out begins now! 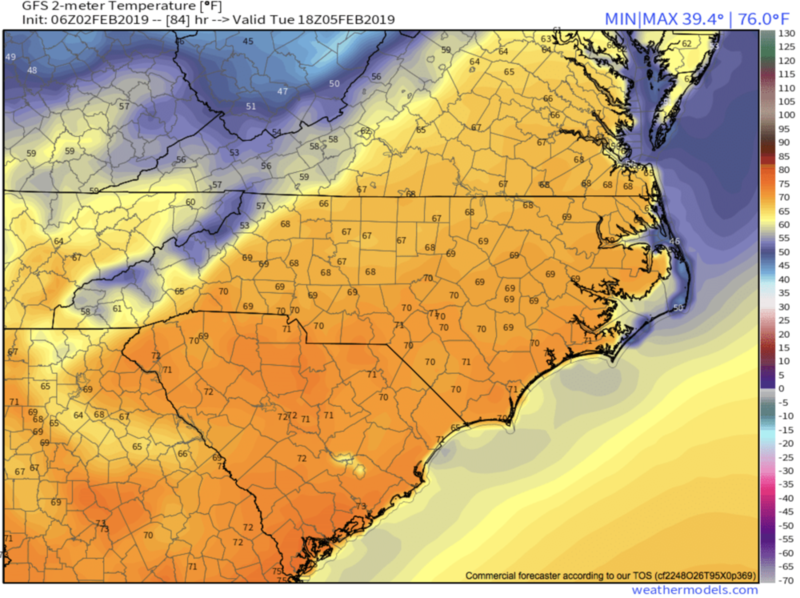 Locations around WNC over the next few days will feel Spring-like with temperatures pushing into the low 60’s most afternoons, and even into the low 70’s on Tuesday. The next round of rain looks to move in late Tuesday or early Wednesday, but these only appear to be scattered showers will minimal impacts. So all and all the next 5-7 days appear to be calm, mild days around WNC! I for one is happy to see the cold subside. Frozen ground makes for difficult digging, and as many of you know I am a Home Builder, so the cold weather works against my agenda. Next week though will be perfect for outdoor projects! Other then a bit of rain on Wednesday, it looks ideal for progress! Looking ahead at long range models, and they finally break down this persistent ridge that will send warm air our way by next weekend. A strong frontal passage looks to be on the table for late next week, and that will bring back cold temperatures to the majority of the East Coast. Cold blocking moves in to our north, and low pressures set up on the Mexico/TX border, placing NC right in the area of truncation. With high pressure persistent in the Caribbean, two areas of higher pressure will meet and create some sort trough. How this unfolds is still of course very blurry, but the return to cold does look certain. Join me tonight at 8pm in the AshevilleWX App and I will detail out my thoughts on this pattern!